From its establishment in 1960, Tower Records was a uniquely American retailer that married a counter culture attitude with a Wall Street business sense. The once omnipresent powerhouse was more than just a place to buy the latest Taylor Swift offering. Tower represented something bigger and far more immediate, a company that appeared to extend a middle finger in the face of traditional business logic while becoming one of the biggest music chains in the world. Its hard to imagine but Tower had its humble beginnings in a small-town drugstore and eventually became to many the heart and soul of the music world, and a powerful force in the music industry. In 1999, Tower Records made $1 billion. In 2006, the company filed for bankruptcy. What went wrong? Everyone thinks they know what killed Tower Records: The Internet. But that's not the story. 'All Things Must Pass' is a feature documentary film examining this iconic company's explosive trajectory, tragic demise, and legacy forged by its rebellious founder Russ Solomon. 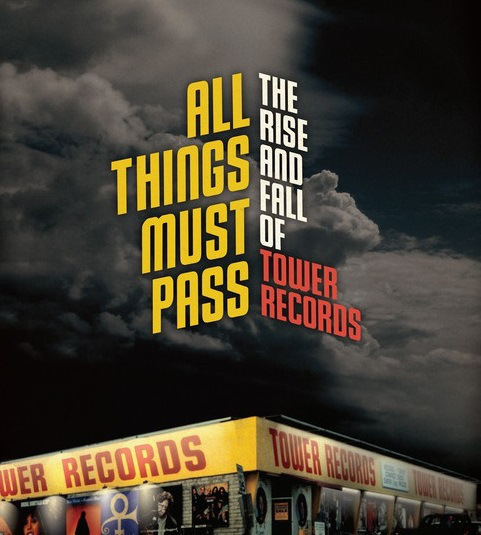 Hanks executes his film with a meandering pace that allows his subjects to casually present the oral history of Tower Records. The pacing of ATMP feels like an afternoon at your local record store... just leisurely sifting through the bins of vinyl in search of that forgotten gem. The former employees are the films hidden gems, the people behind the scenes are the reason this humble company grew to such heights and the reason this film is compelling. The story could be enough to carry a film like this but the people telling it are the reason this film more than just works. If you even have a passing interest in the record industry this one will be more than satisfying. My wife has only purchased four albums in her life and she loved this film. In all honesty the film is only ostensibly about music. The film in its heart is about a group of outsiders who found their place in the world, bohemian clerks who inadvertently helped to define the musical tastes of a generation. All Things Must Pass is currently playing in limited release and opens on 11/20 in Phoenix. For more information check the films website. I worked at a Tower Records in 1983-85. Those were the days. Taylor Swift wasn't even born yet!